1.) Elder Holland claims to hold the very copy of the book of Mormon that bethsheba, Hyrum Smith wife, had in her possession from which Hyrum Smith the prophets brother read to her and had turned the corner of the page down from where he read. The problem is that the copy Elder Holland holds up in his hand at General conference is distinctly different from the copy in the Church History department claimed to be the same book. On your fifth point above, you say that Holland claimed double digit New stake creation in a talk given in early 2015. You then check the growth rates from 2015 on. What are the growth rates up to 2015 when the talk was given? Was he telling the truth up to that point? If he was, then he wasn’t lying, apart from not accurately predicting future growth, which would be virtually impossible unless he was prophetic or something. no you can go back and forth 5 years and nothing matches his numbers. I don’t understand your approach to these topics. I was expecting you to be accusing him of false gospel teachings. 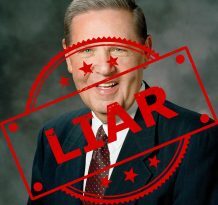 What are you actually trying to say about Elder Holland and why is that associated with the truthfulness of the gospel? I’m not trying to argue with you, I am inactive and found this article online and I can’t understand what your trying to get at. Thanks. The fact that he lies about a lot of things just begs the question as to why. Why does he need to make up faith promoting stories? Why can’t he just share REAL experiences rather than stories he made up? Why would he say he had the copy of the BoM that Hyrum had in Carthage? Why does he have to lie about it? It makes it seem like he is manipulating people through emotional tactics to try and promote belief. 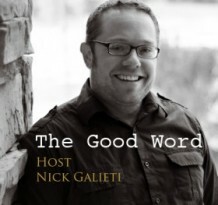 He shouldn’t need to rely on faith promoting BS if the church is full of truth.